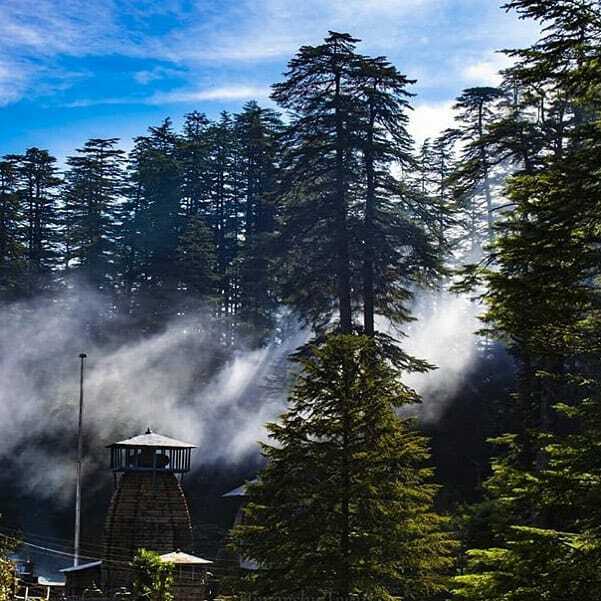 Jageshwar(6135 ft) is in the midst of a forest of deodaar trees, it is 30 km from Almora. It is a sacred place dedicated to lord shiva. It is the first shiva linga of this planet earth as well as it is the eighth jyotirlinga out of twelve jyotirlinga. It carries Nageshwar jyotirlinga as described by Aadi shankracharya in his shloka. Jageshwar is the source of all twelve jyotirlinga. All Jyotirlinga has come out from Jageshwar. 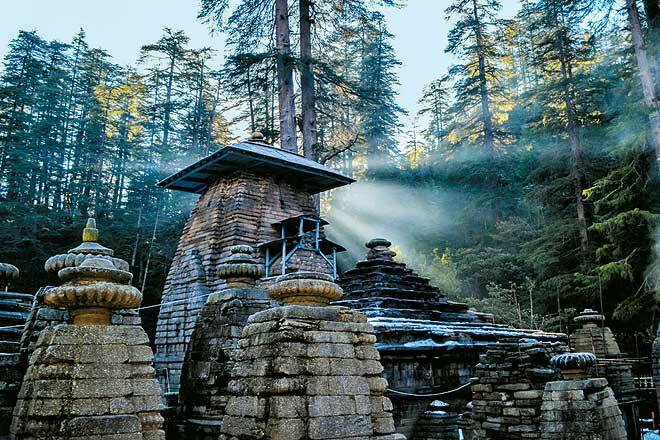 All together there are 124 temples in Jageshwar complex. Oldest temple in this complex is Mahamrityunjay temple. It is believed that first Mahamrityunjay mantra was recited here at this place. It is believed that lord Shiva himself had done Tapasya(penance) here for untold years. This temple is 2500 years old which was later consecrated by Aadi shankracharya in the 8th century. Jageshwar temple is under observation and protection of archaeological survey of India(ASI). HERE LORD SHIVA RESIDES IN THE FORM OF ARDH NARESHWAR(SHIVA-PARVATI). An akhand jyoti (immortal flame) burns in the temple. Cluster of 124 temples of Shiva in one complex. The main temple has to dwarpalas (door guardians in the form of Nandi and skandi). If you are tired of visiting places and temples with modern amenities then Jageshwar is the best place to visit as you will hardly find any modern amenities there. Its serene and peaceful aura will make u feel like staying and meditating throughout your lifetime. A must visit place for them who are really looking for live almighty. The place will mesmerize you like no other. Jageshwar by Air: Nearest airport is pantnagar which is 150 km away from Jageshwar. Jageshwar by train: The nearest railway station is kathgodaam. Jageshwar Buses and taxis is easily available to Almora (37km). The distance from NEW DELHI TO JAGESHWAR is 400 km. Buses ply from ISBT Anand vihar at regular intervals. Spring and early monsoons are the best time to visit Jageshwar. April to June, September to November are the best months to visit Jageshwar.